When archaeologists started looking for fragments of previous civilizations they discovered many pyramids in China and other places. 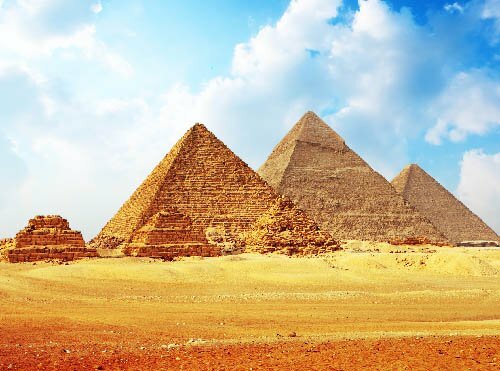 The pyramids in China were recently built and had no historical significance but the pyramids of Egypt were fascinating, very old and much historical value could be extracted from them. These pyramids had been built with care and thought, and to demolish these structures without the help of machines would take years. Some of the pyramids in Egypt are still standing tall with little deterioration in their basic structure and to see such geometrically sound constructions built only with the materials to hand at the time and without any knowledge of modern building techniques is of crucial historical significance. In ancient Egypt, tombs were only built for pharaohs and not the general population, but because the Egyptian dynasties lasted for such a long period there are quite a few tombs still in existence today. The pharaohs’ tombs were meant to preserve their bodies and souls. The Egyptians had a very strong belief in the afterlife and thought the dead would continue to live as they had on earth. This can be seen in the tradition of making offerings to the dead, including food, to help them to flourish in the afterlife. As the number of tombs increased, people felt the need to protect them, and this is how the concept of pyramids came about. Pyramids were mainly for the tombs of the pharaohs, and other, less significant people had smaller kinds of pyramids called monas, way below the main pyramids to show their position in relation to their kings. When the Egyptian pharaohs took over their thrones, they immediately ordered a new pyramid to be built. There is a long-held belief that the construction authorities forced the pharaohs’ servants to build the pyramids but this is not true. 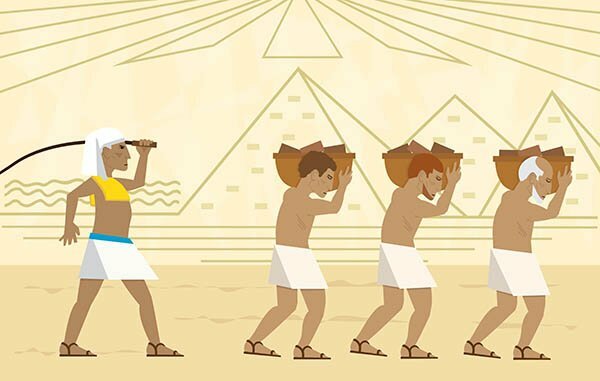 Workers willingly volunteered to build the pyramids and were paid on a daily basis. They were also given complimentary food to keep them healthy and strong in order to keep building the pyramids as the stones were heavy and they had little technology to help them. It is almost impossible to believe that humans did all the work manually, and research is still being carried out into what tools the Egyptians of that era used to attain such precision in measurement and alignment. Most of the pyramids that were made were built on the west bank of the river Nile, the only river that flowed through Egypt. It was also considered the national highway at that time as people felt that waterways were the best way to transport goods. They also used to believe that their sun god would travel with them on the water in his own solar boat. The buildings were made of limestone, and the outer layer was polished to a high sheen. The reflective nature of this surface helped to deflect the sunlight and keep the mummies preserved. The position of the setting sun was thought to be where the kingdom of the dead was and so the pyramids were located where the sun set and not where it rose. Another observation that was made about the pyramids was that they all pointed to the north, and the pole star was precisely above the pyramid. Another fascinating fact is that the positioning of the pyramids resembled constellations, and it remains a mystery how the Egyptians were able to be so precise without any advanced knowledge in this field. What we now call the Great Pyramid of Giza is the oldest and the greatest pyramid of the three pyramids found there. This pyramid is one of the seven wonders of the world. It was built for Pharaoh Khufu of the eighth dynasty and constructed between 2580 and 2560 BC. It contains chambers specially made for the king and queen, the Robbers’ Tunnel, a modern opening gate, the Grand Gallery, and a huge void deep inside the pyramid. Approximately 2.3 billion rocks were used to make this pyramid, but its precise dimensions are difficult to work out as they are in Egyptian units. There are not many other pyramids that are as intriguing as the Giza pyramid making it a favorite tourist destination. Most of the government’s revenue from tourism is due to the popularity of this pyramid. A lot of thought went into the pyramids’ construction, showing the deep love and respect the people had for their pharaohs and for the dead in general. The pyramids were made of local limestone that was available in abundance in Egypt, and the outsides were highly polished. These stones used to sparkle in the sunlight, making the pyramid shine like a huge jewel. They could be seen from the mountains of Israel, and some people speculate that they could have been seen from the moon as well. The other special feature about these pyramids was that although the sun was very hot outside, the temperature inside the pyramid remained constant at 20 degrees Celsius, acting as a giant air-conditioning unit. The doors of the pyramids were very heavy. The Egyptians alone may have known how to open these great doors. In fact, the doors were so heavy that they were almost unidentifiable as doors as they did not open easily at all. Their opening mechanism was only discovered when the Great Pyramid was being studied by scientists who realized that they were huge swivel doors. The door had the strange feature of being very easy to open with just one hand from the inside but almost impossible to open from the outside. How the Egyptians were able to balance these 20-tonne doors in order to create this effect remains a mystery. 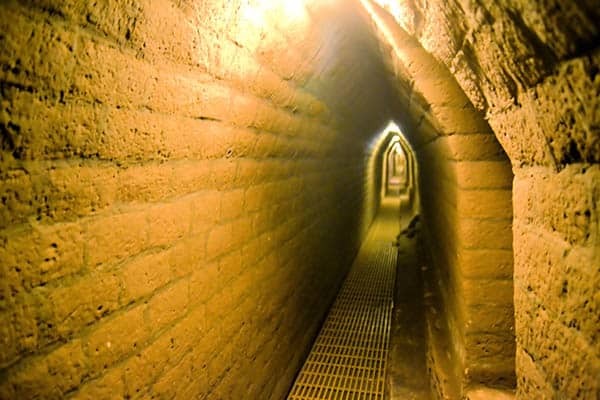 Tunnels were discovered beneath the Giza pyramids and this shows that the Egyptians had mastered this building technology way before we rediscovered it. As well as tunnels, boxes that were cut with great precision were also found. Each of these boxes weighed as much as 100 tonnes. Many believed that they were meant for burying bulls but no evidence of bulls inside the pyramids has ever been found so this theory cannot been proved. The stones that were used to build the pyramids were almost 10 tonnes each – heavier than an elephant, in other words. How they were able to lift these stones up to the height of the pyramids remains a mystery and is still being researched by scientists. The pyramids rose to about 203 steps and each of the stones have been placed with astonishing precision and still stand strong today. A lot of time and effort was required to build these beautiful pyramids, each one averaging about two centuries. About 138 pyramids were built in ancient Egypt and their beauty lies not only in their construction but also in the phenomenal amount of thought that went into their positioning in relation to the stars. The Egyptians believed that their pharaohs should be buried along with their treasure and sometimes even their slaves. Hence gold, jewelry, clothes etc were put in the tombs with the mummies. However, over the years, rulers of other kingdoms have destroyed the pyramids and taken these jewels and valuables back to their own respective kingdoms. Although the pyramids are very hard to damage, smaller pyramids were targeted, and their riches plundered. One such example of this can be seen in the Great Pyramid of Giza. 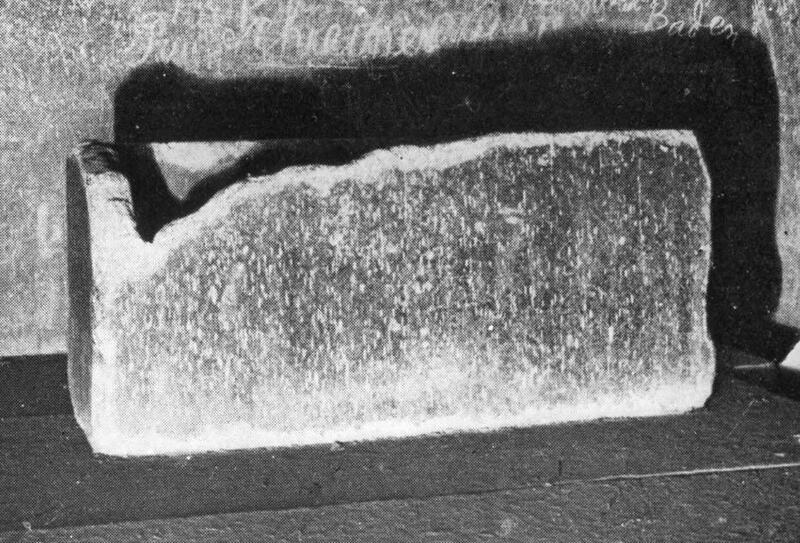 There is evidence of a failed break-in and the deep hole that was made in the pyramid’s structure is still visible today. The construction of these pyramids is just so incredible that much research has gone into how to make equivalently strong structures today. The mortar used is still unknown, and scientists have not even been able to determine where the mortar came from. It is astonishing that the ancient Egyptians could create buildings with such precision, and this careful, intelligent level of construction can be seen in other monuments in Egypt as well, not just the pyramids. Without the help of machinery, and even before the invention of the wheel, they achieved as much as modern man is able to today. It is also possible to see progression in their building techniques when you compare the earlier pyramids to the later models, such as in the fine polishing of the exteriors.